With all that heavy lifting, you need genuine power to keep you operating during an outage. No worries— industrial generators provide the muscle you need. There are a vast array of backup/emergency and prime power solutions to meet your needs. From low kW generators that are ideal for smaller manufacturers such as tool and die shops and commercial printers to multi-megawatt solutions designed to keep large operations running smoothly. 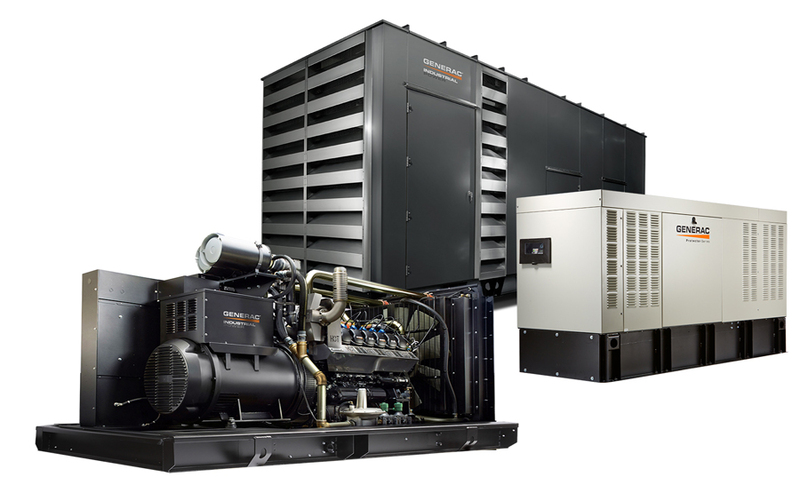 The line of 750 kW – 2 MW industrial diesel generators combines the precise components, designed, manufactured, and supported by a single source—Generac Industrial Power. These components are all specifically designed and built to meet the highest reliability and performance standards. While many facilities can be served by a single large kW generator, your operation may be growing and need more flexibility and scalability for backup power. 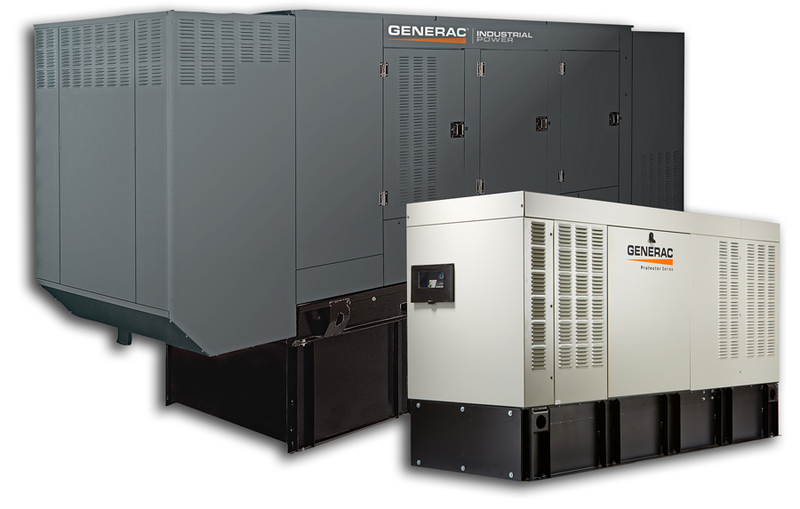 Generac’s disruptive Modular Power Systems (MPS) allow you to easily add generators as your power needs grow. These MPS features integrated on-generator paralleling so there is need for expensive and large third-party switchgear. This means you can purchase the kWs that meet your power needs now, and grow as needed. This allows you to invest more of your initial capital in equipment or machinery that serves your core business functions. We also offer pioneering bi-fuel generators, which start on diesel and transition to natural gas as load is applied. This assures you have the initial power to take the heavy starting load of motors or other equipment, while providing significantly longer run times and less diesel fuel storage. It’s a win-win-win.